Atlantic Beach Pie is a staple at seafood restaurants on the North Carolina coast. One bite, and it will be a staple in your kitchen, too! I grew up on the beach. Building sandcastles (or destroying my sister’s sandcastles) was a common weekend activity. Just after kindergarten, my parents moved from Dallas, TX to Charleston, SC. I spent my childhood surrounded by old homes, horse-drawn carriages and pirates in downtown Charleston. But on the weekends, we’d often pile into the family station wagon and head out to one of the nearby beaches. Right before high school, we moved from Charleston to Raleigh, NC. While Raleigh isn’t exactly a beach town, the beaches were just 2 hours away, and we took many weekend trips down to the North Carolina coast. One of my mother’s friends had a cottage right on the beach, so we’d occasionally go down and hang out there for a weekend. We’d do nothing but read books, watch movies and walk on the beach. Oh, and eat seafood. If there’s one thing I miss about living near the beach, it’s the seafood. And if there’s one thing coastal towns have, it’s lots of seafood restaurants. 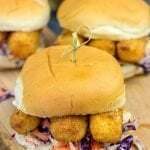 There’s everything from little shacks serving up fried shrimp to fancy restaurants serving up the catch of the day. And nearly every seafood restaurant on the coast has some form of lemon pie for dessert. 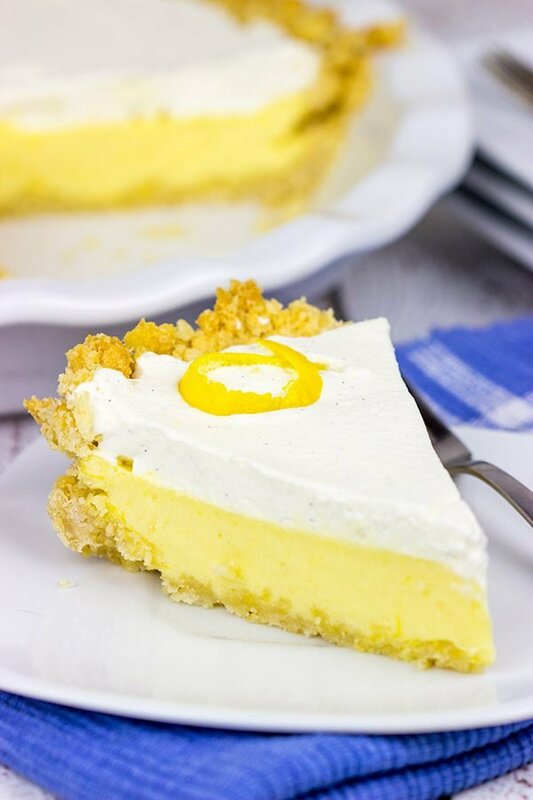 This Atlantic Beach Pie is a classic in eastern North Carolina, and it’s an incredibly simple recipe. 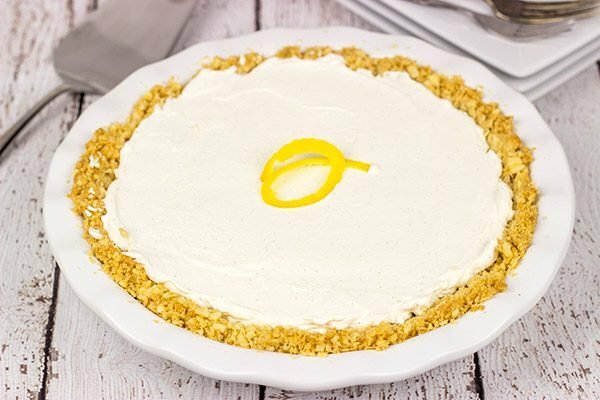 Atlantic Beach Pie features a delicious layer of lemon filling topped with whipped cream. But what makes this pie unique is the crust. Instead of crushed graham crackers or cookies, the crust is made from crushed saltine crackers. Yes, saltines. Just stay with me for a minute here! 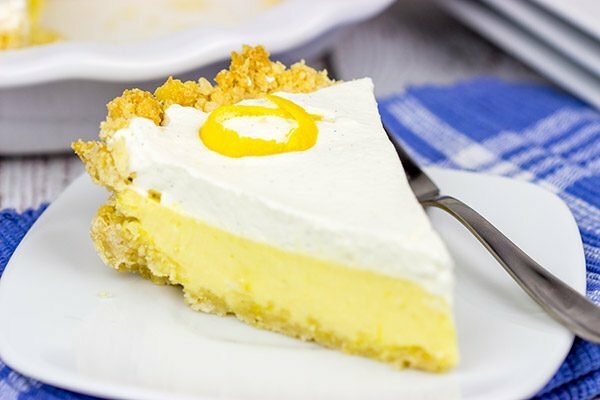 The combination of sweet lemon filling combined with the salty crust is nothing short of genius. Trust me when I say you need a slice of this pie. Living in upstate New York, we’re a good 800 miles from the North Carolina coast. I had a craving for Atlantic Beach Pie the other day. As good as this pie is, I wasn’t about to make an 800 mile drive to get a slice. Fortunately, NPR had done a feature on this pie a while back, so I was able to just whip this one up in my kitchen. And it’s just as good as I remember! I’ll be honest that I was a little skeptical of this saltine crust. It was fairly loose and crumbly, but it does get baked for a bit before the pie filling goes in. That pre-baking helps turn the saltine crumbles into a legit pie crust. And then the lemon filling + whipped cream on top takes this Atlantic Beach Pie to a whole new level. If you live near the NC coast, then you’re lucky. If not, then whip up one of these pies soon. You can even dump a bag of sand in your backyard if you want to feel the sand between your toes. Enjoy! P.S. Looking for more dessert recipes? Check out TheBestDessertRecipes.com! Several of my favorite desserts (like this New York Caramel Apple Cheesecake) are featured there…along with thousands of other awesome recipes. Embrace that sweet tooth! Bake at 350° for 17-19 minutes, or until light golden brown in color. 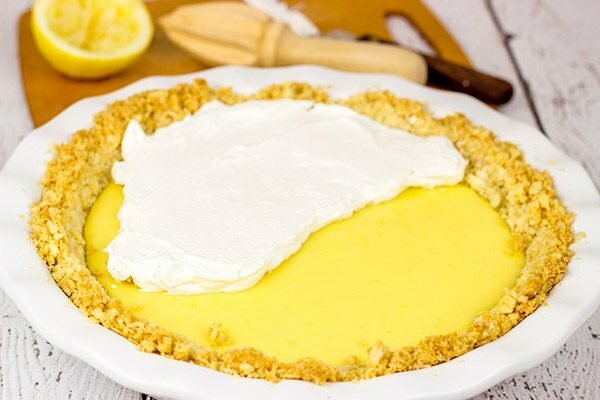 While the crust is baking, add all of the Filling ingredients (condensed milk, heavy cream, egg yolks, lemon juice and lemon zest) in a medium bowl; whisk together until well-combined. Once crust has been removed from oven, pour filling into pie. Bake for 15-17 more minutes, or until filling has set. 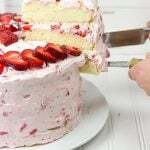 Using a handheld mixer, whip the heavy cream, powdered sugar and vanilla until stiff peaks form. 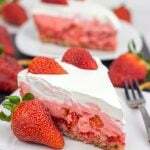 Using an offset spatula or a spoon, spread the whipped cream evenly on top of pie before serving. Recipe barely adapted from NPR. I might have eaten most of that pie by myself, Dawn. Laura’s been out of town for a week at grandma’s…and someone’s gotta eat the food, right? 🙂 I hope you make it to a beach sometime this summer! LOVE the saltines in the crust- such a fun salty/sweet/tangy interplay! Hi David! Gary would eat this in no time…he is a pie guy! What a wonderful summer dessert! When we vacationed on the Outer Banks a number of years ago I remember all the fantastic, fresh seafood and the prices were amazingly ! That is one thing I miss living in very rural TN – the availability of certain foods! But that’s what the internet is for! As in crawfish 🙂 Have a wonderful weekend! This is my first time feasting my eyes on an Atlantic Beach Pie – and, I can see why you were skeptical about the crust with saltines. 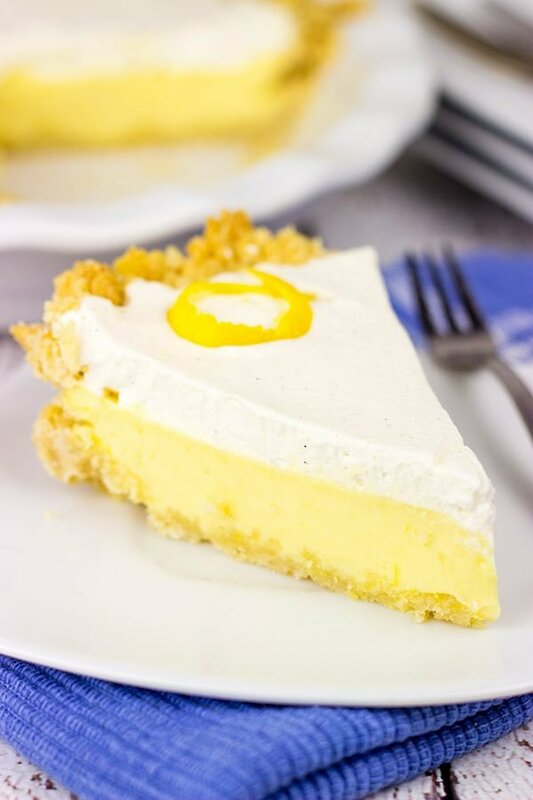 But dang, the thought of that sweet lemon filling combined with the salty crust is BRILLIANT – and making me drool! Seriously EPIC pie here! Hope y’all have a wonderful weekend, David! Yeah, I was like…saltines? In the crust? Say what? But woah. This pie is legit, Shashi! I bet I could eat this entire thing by myself…but don’t actually challenge me to that one. Haha! 🙂 Hope you and lil Shashi had an excellent weekend! Yes x 100 to swap out the saltines over graham crackers- That is my one qualm with graham cracker based crusts, it’s WAY too sweet. 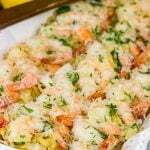 This would be the perfect post seafood treat- You seriously had the best upbringing! Maybe you should do the same with Robbie, but international style. (I hear Australia is good). I dunno, I do like a good graham cracker crust on certain pies. 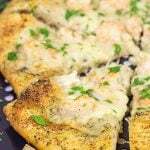 But this saltine crust? It’s a new tool in my crust-making repertoire! I hear Australia has great food, too…like Marmite Pie with Kangaroo Crust. I think Robbie needs to experience that one! Nice call, David! I’m partial to the beautiful beaches of the Third Coast. A fresh-water ocean beats salt water in just about every way … except that I’ve never had this type of pie before! This injustice must not be allowed to continue! I must make this pie! I’ve never heard of this pie before, but I am definitely intrigued by the saltine crust. The pie looks so good! This pie makes me smile because of the color and delicious look. Totally scream Summer to me and I’m so jealous of your childhood. Sounds so fun to grow up on the beach. It was indeed a lot of fun to grow up on the beach…and I do miss the beach. But what’s funny is that I’m more of a mountains guy than a beach guy. I’ve told Laura that the next time we move, I want to be in a mountain area! 🙂 Thanks Linda…hope you are doing well! David, I feel you! I also live by the seaside and the memories of seafood and the fresh pies and pastries served along the shores will always be some of my favorites! Also, I’m loving this pie! And to me, the more crumbly the crust, the better! Delicious! Ah, I do miss living by the shore. There is just a feel in the air when you’re by the ocean…and it’s not just the salt! 🙂 This pie is totally worthy of summer dessert (beach not required). Thanks so much, Lucie! This is great! What a perfect Summer recipe! Thank you so much, Eden! This is indeed a great summer recipe. We’ve made it a couple of times already. It’s become our go-to dessert to take to summer parties. 🙂 I really appreciate you stopping by to comment! 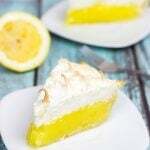 Even though I live in Northwest Idaho now, (Born in Ohio, raised in Florida (home of the keylime pie) I moved to Asheville North Carolina and lived there for 12 years (vacationed in NC since 1992) I traveled to the east coast of NC and had Bill Smith’s pie, but not with added 1/4 cup of cream to the filling. 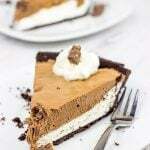 Does this add volume or lightness to the pie? I like this idea, but the only recipe I have seen, is straight condensed milk. Great question about the extra bit of cream. I do like adding the cream and I’d venture to guess that it does lighten the condensed milk filling a bit. But honestly, this is the only way I’ve ever made it…and it turns out so darned well every time that I’m not willing to mess with it! Haha! I have no idea where I got the idea to add the cream (it’s certainly optional! ), but I do know that it works well. Thanks so much for stopping by, and happy baking, my friend! I hope this pie brings back good NC memories! I’ve been on the beach in Florida, South Carolina, California, Hawaii and now in Washington where I live now. But I have never heard of this pie. It sounds amazing. Hey, they use salted pretzels as dessert crusts, so why not saltines. Can’t wait to try it. This pie is totally one of our favorite summer desserts, Bev! You’ve definitely got to try it out. 🙂 The salty + sweet combination is just mouthwatering. But your comment about pretzels totally got me thinking…I need to make some sort of pie with a pretzel crust now! Thanks so much for your comment, and I hope you enjoy this pie as much as we do around here!! What an idea. Please share frozen cake as well.